The International Capture the Flag (ICTF) is a distributed, competitive computer security competition. During the contest, teams of students from across the world attempt to keep their own network services running while exploiting security holes in the services of other teams. This year, the UTM team placed 6th of 122 teams (and 2nd in North America). In the words of Arnold Rosenbloom, who started the Introduction to Information Security course at UTM: " I am very proud of my students! Not only were they great when I taught them, but they were so interested and motivated that they continue to come back and help me and my current students learn. The enthusiasm has taken a life of its own!" 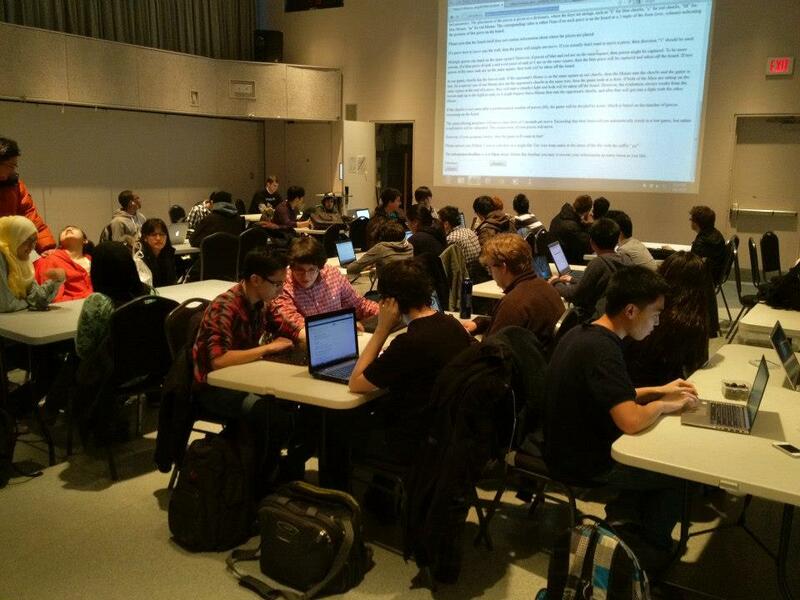 The Hackathon was hosted by Computer Sciences Leturer Gerhard Trippen who made up a game called Dog-Cat-Mouse-cheeSe where teams of students wrote code to make their team beet their opponent in a round-robin format. More on the game itself can be found at https://cslinux.utm.utoronto.ca/~trippeng/DCMS/sm.html.